Panama has spent much of the past decade in a real estate boom, with prices rising quickly and a steady stream of new construction. 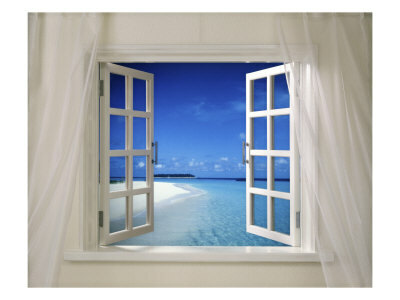 The economic crisis may have slowed the frenzy of the market, but prices have not fallen sharply. Panama’s economy continues to grow, if more slowly than in years past. The reasons for the growth, said Jianella Torres, a broker at New World Real Estate in Panama City, include the development of an area called Panama Pacifico, a 5,000-acre tract just outside of town that was once a United States air base, as well as Panama’s status as the second-largest free-trade zone in the world. Shoppers from all over the Americas and the Caribbean come in search of tax-free deals. All of which has kept prices from crashing hard, Ms. Torres said. High-end properties have generally retained their value, while less expensive properties have fallen 10 to 20 percent, she said. Today, housing prices for new construction in Panama City range from about $1,500 a square meter ($139 a square foot) in the San Francisco area, a middle-class coastal neighborhood, to $2,500 to $4,000 a square meter ($232 to $372 a square foot) in waterfront areas like Punta Pacifica and Balboa Avenue, said Yovana Medina, general manager at Knightsbridge Investment Group, a Panama City real estate company. Older properties sell for about 15 percent less than newer ones, she said. Unlike the high-rises of Panama City, the majority of homes around Las Cumbres Lake are single-family houses on large lots. They typically range from $700,000 to $1 million. Homes on the road connecting Panama City to Las Cumbres are far cheaper, she added. Ms. Medina says foreign buyers have been increasingly drawn to Panama City, among them Americans, Venezuelans, Canadians, Colombians and European Union residents. Most foreigners in Panama City are seeking properties in the $150,000-to-$250,000 range, according to Ms. Torres. “They’re buying a condo in the city, something very well located, that can be rented out,” she said, “so they can get some money until they retire” in the area. There are no restrictions on foreign ownership. The seller pays all agent fees and taxes; the only financial burdens on the buyer are lawyer fees, which typically range from $1,500 to $2,000, Ms. Medina said. Foreigners can obtain about 70 percent financing; interest rates run 6.25 to 6.75 percent. Twelve miles from Panama City, Lake Las Cumbres is a popular fishing and boating destination. Set on the shores of the lake in Las Cumbres, a wooded area 12 miles northwest of Panama City, this 1,000-square-meter (10,764-square-foot) home was built in 1999. The brick-and-concrete structure has three stories and an open-air sitting area with a roof; there is also an outbuilding on the property. The entrance to the main house is on the second floor, which has an entry hall with a glass elevator. The open kitchen is on this level, with glass-and-wood cabinets, blue tiled countertops and a built-in breakfast table made of concrete and brick. The open living and dining room has floor-to-ceiling windows and a wooden balcony. There is a half bath off the living room and a laundry room off the kitchen. Upstairs the master suite has lake views, two offices, a Jacuzzi with a skylight above it, a walk-in closet and an en-suite bath. A tiled terrace is off the bedroom. Downstairs are two additional bedrooms, each with an en-suite bath. There is also a patio. Outside on the two-and-a-half-acre property is a swimming pool with a deck and waterfall, and a 50-square-meter (540-square-foot) roofed structure called a “rancho.” This has a built-in bar and cabinets, a dining and barbecue area, and space for hanging hammocks. A separate two-story structure, built into the hillside, has a gym and a guest room, each with its own bath, and roof-level parking for four cars. 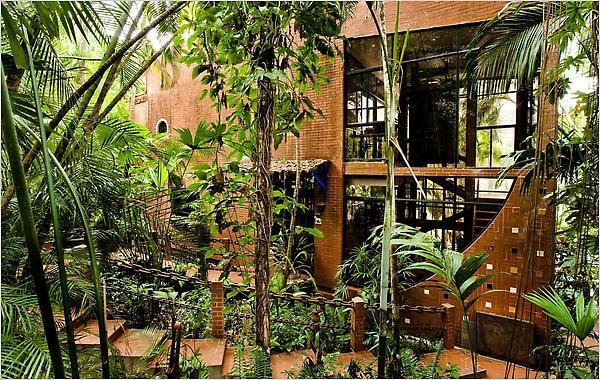 The property has abundant vegetation, including mango and plantain trees, and ficus and coffee plants. It is not unusual to sight toucans and sloths. 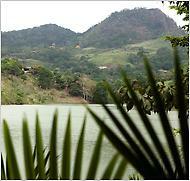 The property has about 100 meters of shoreline on Las Cumbres Lake, a popular destination for boating and swimming. Tocumen International Airport is about 30 kilometers (20 miles) away. This is an article written by my friend Paul McBride. A lot to think about. Panama Investor Blog’s Sam Taliaferro comments: Paul McBride wrote this piece earlier this week. Paul and I have been watching things pretty closely over the years and it has become clear to us both that the window of opportunity is closing for those who want to get their assets and their asses out of the U.S.. We don’t believe the government will stop you from leaving, but they will make it very much more difficult and expensive to do so. I believe Paul’s scenario below is very close to the truth. Actually, the U.S. government doesn’t care whether you decide to move to Panama or not, they just don’t want you to take your money. Most of the people I meet who are looking for a home or property in Panama just want to live comfortably in a beautiful environment at a reasonable cost. For many, Boquete is the perfect choice. Mild weather, magnificent scenery, great community and most, if not everything, they need to live a cozy day to day existence. I can safely say that the average couple living in Boquete spends less than $2,000 a month in total living expenses. That’s everything – car, health and home insurance, food, gas, entertainment (we go out a lot! ), utilities, cable TV, Internet. You name it, the whole enchilada. Did I mention very low or no property taxes? This simple formula, low living costs and quality lifestyle, was the reason that Boquete became one of the most desirable retirement destinations in Latin America. But what if I told you that the price of real estate in Boquete was likely to increase as much as 30% in the next two years or so? A home that costs $250,000 today could be as much as $350,000 in that short period of time. A $150,000 condo could cost $215,000 or more. In today’s market that sounds absurd. But this is a real possibility…… if you happen to be a U.S. citizen. You see, the United States Treasury is concerned about money leaving the country. Money that they’re going to need to pay their bills. The Federal government is running an operating budget deficit of over a trillion dollars this year and, by their own admission, this level of deficit spending is projected to continue for several years in the future. In order to service this unfathomable debt they’re going to need to do one of two things – drastically cut spending on defense and entitlement programs or significantly raise taxes. Which way do you think they’ll go? My bet is that they will raise taxes and it’s not unthinkable to believe that the total tax burden for high income workers (the definition of which keeps changing all the time) will reach a combined total of 60% to 70% when you include state, local and federal taxes. Think about that – 60 to 70 cents of every dollar you earn will go to the government, with much of it being spent to cover the debt. And the state and local governments are in even worse shape. I project that will see increases in income taxes, capital gains taxes, payroll taxes, Medicare withholding, property taxes, sales taxes, death taxes, increased fees for services, all types of licenses and taxes we haven’t even heard of yet. If a state, local or the federal government can squeeze a nickel out of you, they most certainly will. In an environment like this, more than a few people will stop voting at the ballot box and start voting with their feet. They will begin leaving the country with as many assets as they can and go somewhere where they can live their lives in comfort without watching everything they’ve worked for, everything they sacrificed for, get taken away in taxes or eaten up by inflation. The federal government is aware of this real possibility. So aware, in fact, that they’ve been methodically preparing for this potential exodus of money for the past two years. On June 17th, 2008 the Heroes Earnings Assistance and Relief Tax Act of 2008 (H.R. 6081), also known as the Heart Act, was unanimously passed by Congress and signed into law by the President (a Republican no less). This piece of legislation was very well intended. It provided much needed tax relief for the men and woman of our military who are sacrificing their time and their lives for our country. But this bill also contained some language that targeted a very different group – expats who, for whatever reason, decided to give up their U.S. citizenship. The bill provides for withholding taxes of up to 30% on certain assets held by the expat as well as assessing the value of the property of the expat 24 hours prior to the renouncing of their citizenship. Keep in mind; only around 600 Americans renounce their citizenship each year, so the expected revenue from this small group is relatively limited. More important are the procedures and policies established by this bill that can be modeled for future legislation. Okay, so this bill is not a big deal. Few people actually give up their U.S. citizenship and it’s not likely to directly affect you. What’s more, if someone decides to give up their citizenship, who really cares how much they’re taxed? But it does establish some policies, procedures and tax rates for individuals who decide to live offshore. Policies, procedures and tax rates that very well could affect you in the future. As a follow up to the Heart Act of 2008 we have the Hiring Incentives to Restore Employment Act (H.R. 2487) commonly known as the HIRE Act (don’t you just love these names?). This is the jobs incentive bill that was signed by the President on March 18th amid little fanfare. In a congressional bill of 47 pages, presumably written to address the unemployment situation in the U.S., 21 pages are devoted to the treatment of foreign bank accounts and other offshore investment vehicles held or controlled by U.S. citizens. But I thought U.S. citizens were already required by law to disclose their overseas account to the IRS, so why do we need this legislation? Well, yes they are. But this law goes a bit farther in that it requires foreign financial and non-financial firms to report accounts held by American citizens to the U.S. Treasury. So, in effect, the United States Congress has passed a law that requires a foreign firm, located in a foreign country, to disclose account information held by a U.S. citizen (including name, address, tax ID number, account number, account balance, and flows of funds into and out of the account) to the United States Treasury on their demand. Now, that takes some nerve. What if the country where the financial firm is located has laws against disclosing this information? In that case, the law requires the financial firm to obtain a signed waiver from the account holder authorizing the firm to disclose the information. If they don’t sign the waiver, the financial firm is required to close the account. I spoke to an attorney friend of mine who told me that his firm is no longer accepting U.S. clients because they don’t want to be harassed by the IRS. Because of this law, foreign banks are likely to close accounts held by Americans due to the bookkeeping hassle or the potential liability posed by the U.S. account holder. The fact that banks and law firms will no longer want to work with U.S. citizens is an unintended consequence of this legislation. Or was that the real intended purpose? Despite these two laws, the U.S. Treasury knows that a determined citizen, driven by the fear of increasing taxes and confiscation, will find ways to keep their privacy and their assets away from the long reach of the U.S. government. In fact, the Hire Act even has a name for these non compliant citizens – recalcitrant tax payers. And this is where I think a third piece of legislation will fill the gap. It’s my belief, based on the actions already taken by the U.S. government, that an exit tax will be instituted to capture money at the source (your U.S. bank), before it leaves the country. I believe that this exit tax will apply only to certain specified transaction (since senators, congressmen and their wealthy patrons will still need to get their money out of the country). Further, I think this tax rate will be in the 30% range (remember the Heart Act and the withholding requirements of the Hire Act?) and will be withheld by your bank and remitted to the U.S. Treasury at the time you make a transfer to a foreign entity. Like the provisions inserted into the Heart Act and the Hire Act, this exit tax will likely make its way into some well meaning piece of legislation, inconspicuously inserted in the arcane language of the bill and will become the law of the land. Most Americans will not even know the law exists and many of those that do understand won’t object because it will not have any impact on their lives. And this, my friends, is how the $250,000 house in Panama suddenly costs $357,000 and the $150,000 condo will take $215,000 of your hard earned cash to buy. If you are thinking about moving to Panama (or any foreign country) or investing overseas, the window of opportunity is getter smaller and smaller. Although I don’t believe the U.S. government will ever prohibit you from leaving the country, I’m convinced that they will make it increasingly difficult to get your money out without a punitive tax. Perhaps I’m wrong. Maybe I’m misreading the situation and the U.S. government isn’t concerned about the flows of funds overseas for the average citizen. And maybe this current financial crisis is just a bump in the road and the economy of the United States will start growing enough to cover the debts that are piling up without huge tax increases. Maybe. But try this mental exercise – Let’s say you believe the scenario I’ve described is a real possibility and you decide to act by moving some of all of your assets overseas, buying a house and creating a “Plan B” lifestyle for you and your family. And then, none of the currency restrictions predicted happen, the U.S. economy springs back to life, the government institutes favorable tax policies to encourage investment and growth and money making opportunities abound. What’s the worse thing that can happen? You can always move your assets back to the U.S. since you’ll never see restrictions on money moving into the country. But what if I’m right? What if the economy continues to sputter? What if unfunded liabilities like Medicare, Social Security or the new health care plan continue to expand the federal debt causing the economy to stagnate, forcing increases in tax rates and placing restrictions on the flow of capital overseas? If you’ve chosen not to take action, what options are left for you and your family and at what cost? Freedom means having the ability to make choices. I believe there’s still time to make choices but the clock is winding down. Who is investing in Panama these days? Smart money. Panama has seen an increase of wealthy investors looking for a both a safe place for their investments and a place of secondary residence. “We’ve certainly seen a slow down in for homes in the $200,000 range. But we’ve seen a pickup in another market. The market we’re seeing now is a market of wealthy individuals who are looking for safety. They’re looking for a safe haven. They want to park their assets somewhere else because they see a train coming down the tracks. Real estate investments in Panama carry risk but not in comparison to the risks of the US stock market. US stock market returns averaged just 3% in the last decade- before this current market meltdown when most gains were wiped out. One cautionary note is the Panama City condo market which everyone agrees is way overbuilt and in a major slump. But that means it is close to time to begin picking up some bargains. Panama is attractive for investment because while it is an emerging market it is also a proven market. It has has the highest growth rate in Latin America in the last 5 years. Today it is one of the few economies that is still growing- most experts say it will grow at least 3% in 2009. Why is Panama doing well and will continue to do well? To start there are numerous major infrastructure projects in the works including the 5 billion dollar expansion of the Panama Canal, oil pipelines, a major special economic zone, port expansions and hydroelectric plants. Panama is also fast becoming the business capital of the Latin American and Caribbean region. 17 major international corporations have recently made their regional headquarters in Panama including, Proctor and Gamble, Caterpillar, Dell, Hewitt Packard and 3M. ( Miami was the defacto capital until 9-11 which means companies can longer get US visas with any consistency. The strong Panamanian business sector including an international banking sector of over 100 banks, is solid having not made the mistakes of its of the banks up North.